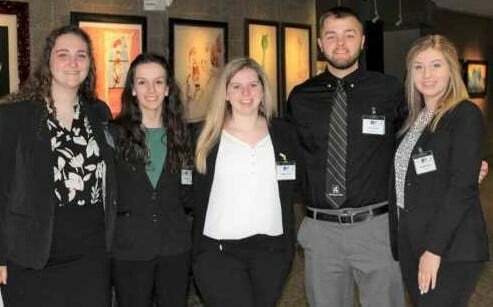 Earlier this month, Michigan Technological University’s School of Business and Economics (SBE) sent two teams of undergraduate students to Grand Rapids, Michigan, to compete in the final stage of the eighth-annual THE Project Competition, an annual collegiate project management competition hosted by the Western Michigan Project Management Institute Chapter. 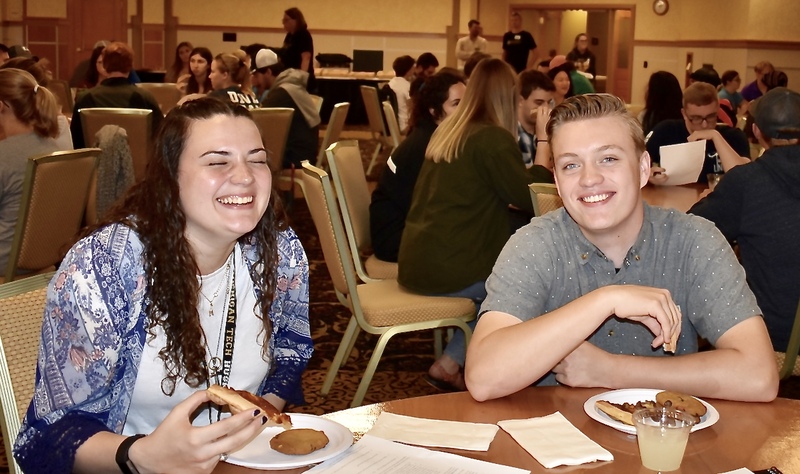 Roger Woods, SBE faculty member who leads the opportunity each year, says that the experience engages Huskies in the practice of project management, develops their leadership skills, and provides them with a platform to demonstrate their abilities to business and community leaders. 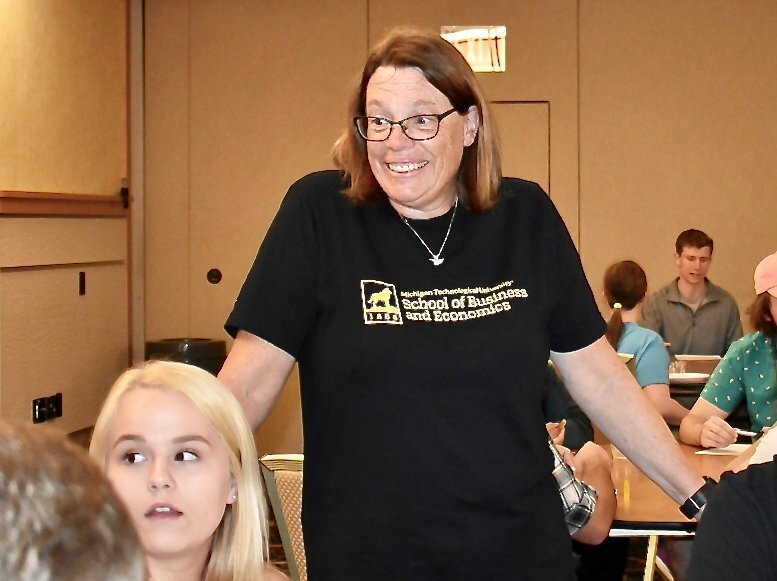 Michigan Tech has competed in all eight of the competitions, placing third in 2018 and first in 2017. 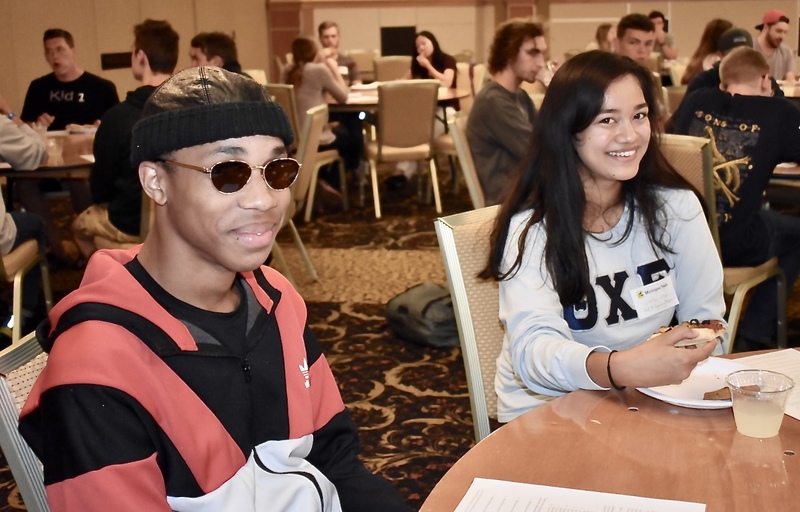 Students faced competition from five other Michigan schools including Cornerstone, Ferris State, Grand Valley, Hillsdale, and Western Michigan. 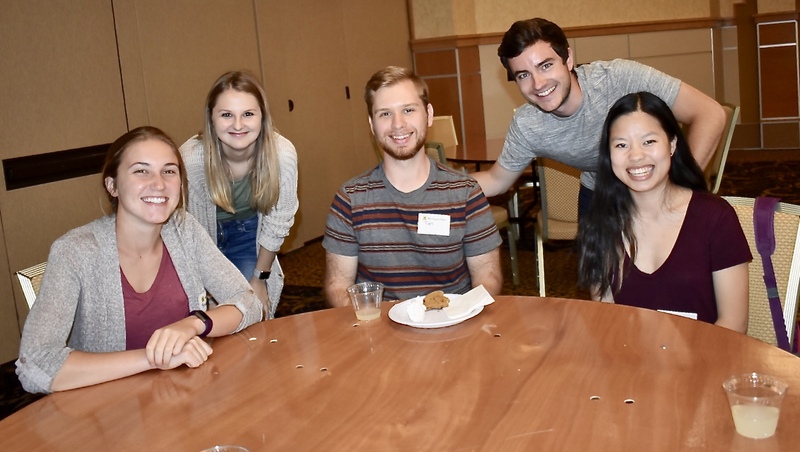 “THE Project is probably the best college experience I have had outside of an internship for my future career in the project management industry,” says first-time competitor and Michigan Tech senior, Connor Green. Team Extreme Makeover Tech Edition–comprised of Erica Austin (management, Sterling Heights, MI), Sarah Koerber (engineering management,Grand Blanc, MI), Skyler Nelson-Makuch (supply chain and operations management, Kalamazoo, MI), Keaton Thames (engineering management, Highlands Ranch, CO), Quinn Trumbower (engineering management, New London, WI) , and Giselle Ulep (engineering management, Beverly Hills, MI)–went from last place to the top spot in their division throughout the four competition gates, securing a position in the final three. Huskies LEED the Way–a team, which included Hannah Badger (engineering management, Plymouth, MI), Connor Green (engineering management, Sandusky, MI), Amanda Sabol (engineering management, Utica, MI), Megan Twork (engineering management, Ravenna, MI), and Amanda Vermeer (engineering management, Sterling Heights, MI)–led their division from start to finish, also securing a spot in the final three. Final: Huskies LEED second; Extreme Makeover third. 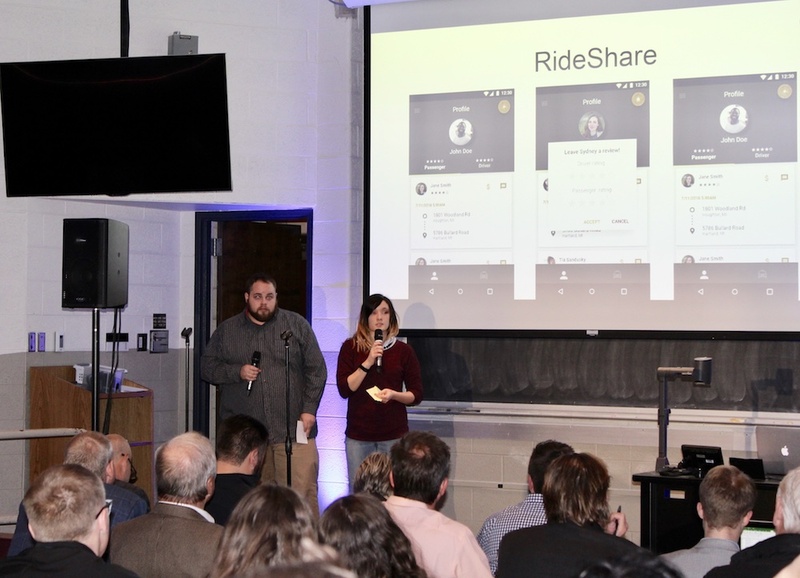 The first annual Husky Innovate Idea Pitch Competition took place Wednesday, Oct. 17 in Fisher Hall. 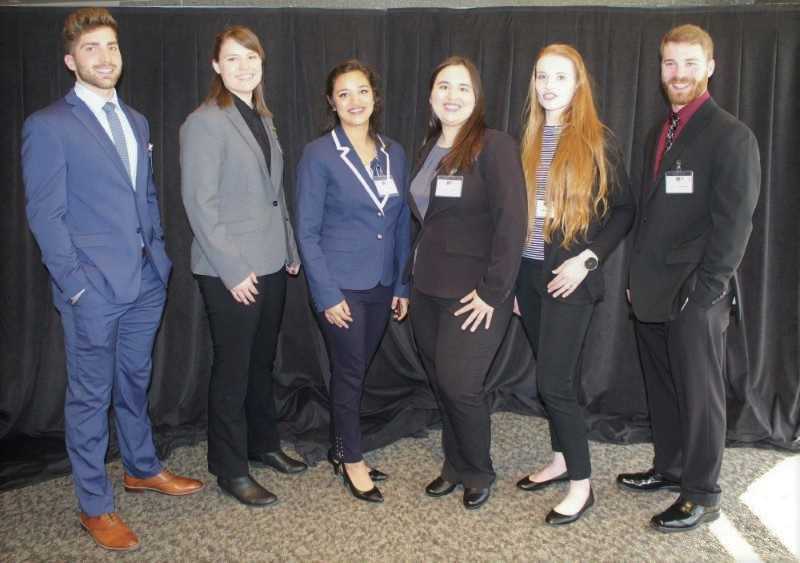 The competition was hosted by the Innovation Center for Entrepreneurship, a collaboration between the Pavlis Honors College, the School of Business and Economics, and the Vice President for Research Office. More than 30 students from various majors and disciplines pitched to a panel of judges comprised of faculty, alumni, and community members. Participants had two minutes to pitch their innovative and disruptive ideas. 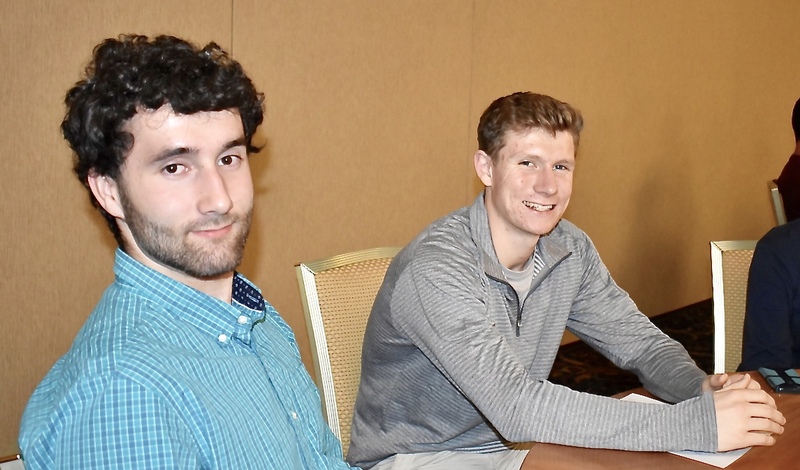 Alumni from Michigan Tech’s 14 Floors joined the judging panel to offer feedback and expert advice to budding Michigan Tech entrepreneurs. Students in the School of Business and Economics participate in the Husky Innovate Idea Pitch Competition. 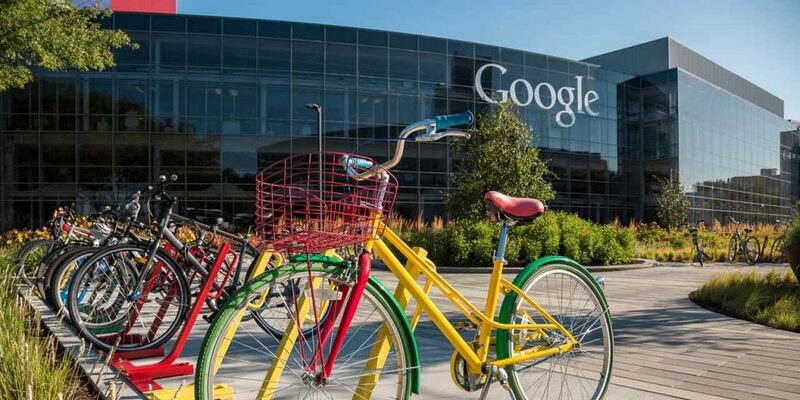 The Idea Pitch Competition is part of Husky Innovate, a series of workshops and competitions that guide students through key phases of business development while emphasizing strategies for success. More information on upcoming Husky Innovate events can be found at mtu.edu/husky-innovate. 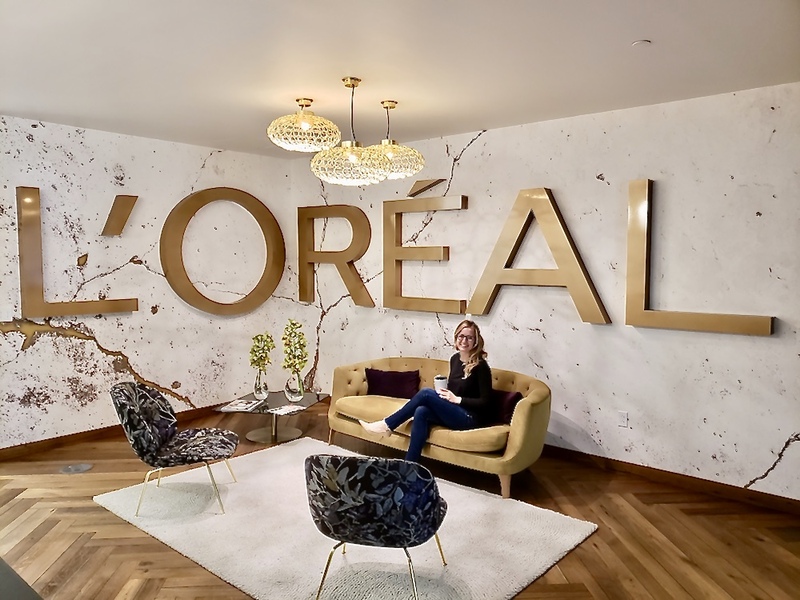 Supply Chain and Operations Management major, Rachel Chard ’18, interned with L’Oreal USA this summer. The cosmetics group operates in more than 140 countries, providing hair care, skin care, and makeup through a portfolio of 34 brands including Maybelline, L’Oreal Paris, Urban Decay, and Garnier. Chard, who will graduate in December 2018, finds professional value in her business education rooted in a STEM university.